I woke up in Melton Mowbray this morning (planned) so spent the best hours of today driving back to Thrintoft. My concerns that I was missing out on Spring migration through the parish were allayed by a message from Nick that things were very quiet, with just wheatear and common sandpiper of note. As soon as I got home I felt the urge to go for a walk, so I headed North out of the village avoiding the usual route that would see me cross over into Nick's patch. 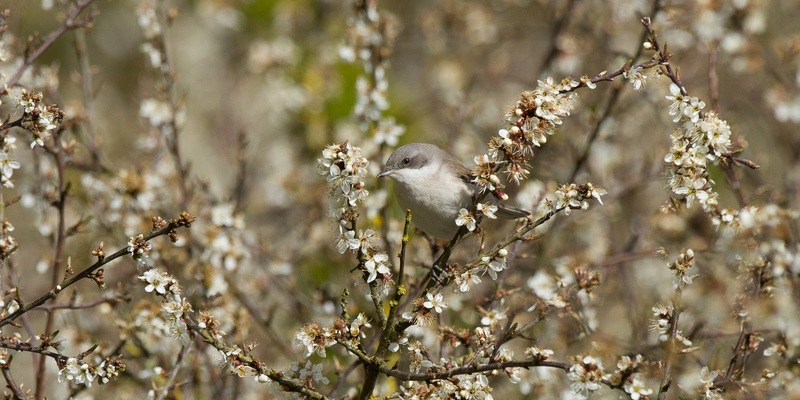 I decided that I would explore the hedgerows and ox-bow lake for warblers; I'm determined to record grasshopper warbler and one of sedge or reed warbler this year, but realistically was hoping to catch up with lesser whitethroat, having seen many reports of them turning up on the coast. Before I even left the village I came across a common whitethroat, and in just 200 yards again had picked up three more. 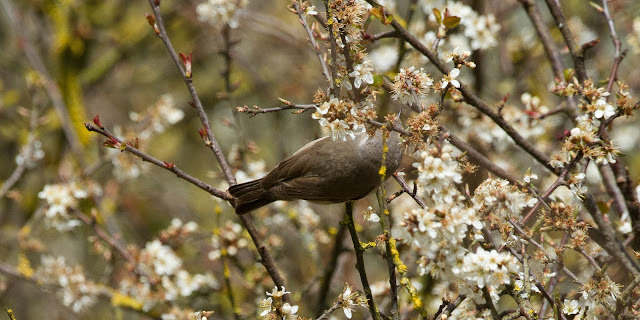 Indeed, by the time I had reached the hedgerow that I photographed whitethroat last week I had already counted seven birds! I was confident that I was going to encounter at least one of my targets today. At the lake it was very quiet, so I sat on my fallen tree and just listened. In the sky were increasing numbers of swallow, swirling over the thin tree-cover of the reed-bed, and in their number were two or three house martins, my first of the year. 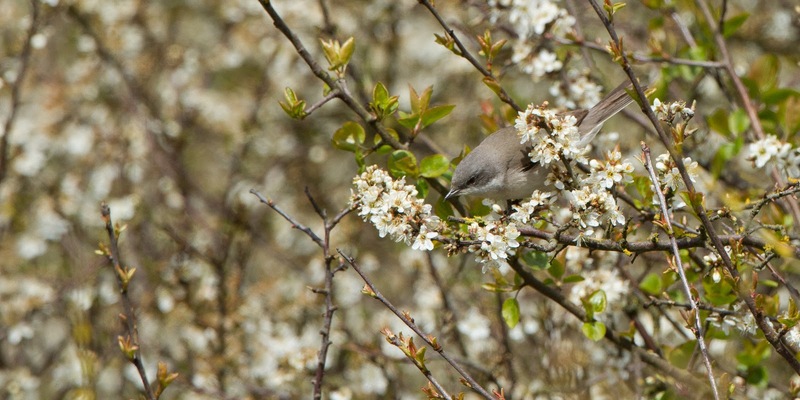 Another common whitethroat popped up in a hawthorn next to me and began singing; number nine of the day. Green-veined white brought the butterfly count to four for the year. Across the road from the oxbow lake is a huge field, and along it's North and Eastern boundary runs a fantastic hedge, burgeoning with haw, blackthorn and bullace (wild damson). Linnet, goldfinch, willow warbler, chiffchaff and blackcap were present in number and I counted off another handful of common whitethroat. Then, half way along the Eastern hedge I heard a slightly different bird, finishing it's warble with a slow trill; lesser whitethroat! The bird wasn't very approachable, but I managed a few shots before I headed home to take the family out.